Tie Up Loose Ends . . .
Trout season in New York state opens April 1st. 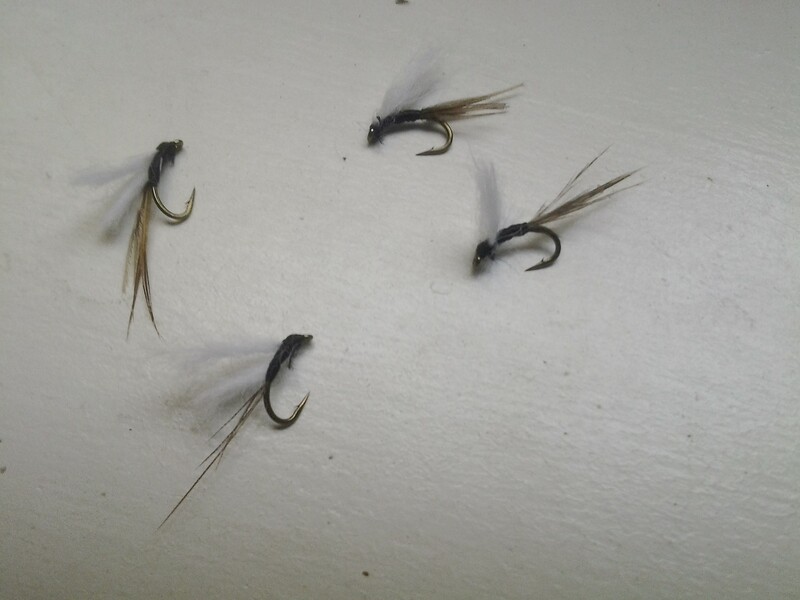 Time to tie up loose ends and whip finish those kebari fly patterns . . . Optional Author’s Note: Ebisu is the Japanese god of fisherman, good luck, and workingmen, as well as the guardian of small children’s health. He is one of the Seven Gods of Fortune, and the only one of the seven to originate in Japan. This poem, about the legacy of fly tiers and their namesake creations, was composed while sitting by an image of Ebisu, thus the title. The clay bank, high and vertical, gives way at intervals over time. Trees do follow. The other side, temporarily bridged by timber, emerges as a shallow grade of washed gravel and cobblestone. Low water, dry stones, holding sprouts of green in the shallows and cracks. Crayfish abound in the back puddles as do nymphs of caddis, mayflies, and dragonflies. Riffles call for some kebari pale and fluffy to the casual eye. 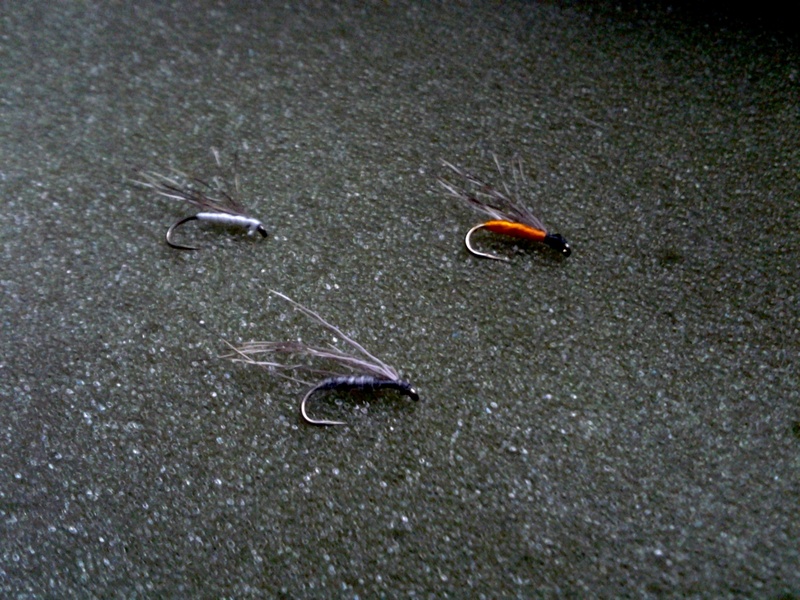 Many tenkara anglers tie and fish one fly only. September finds me most often opening the wallet or bottle for one best knotted onto 6x or 7x tippet: a primitive September Trico Spinner of black thread and rabbit on a curved hook in some size between 18 and 22. 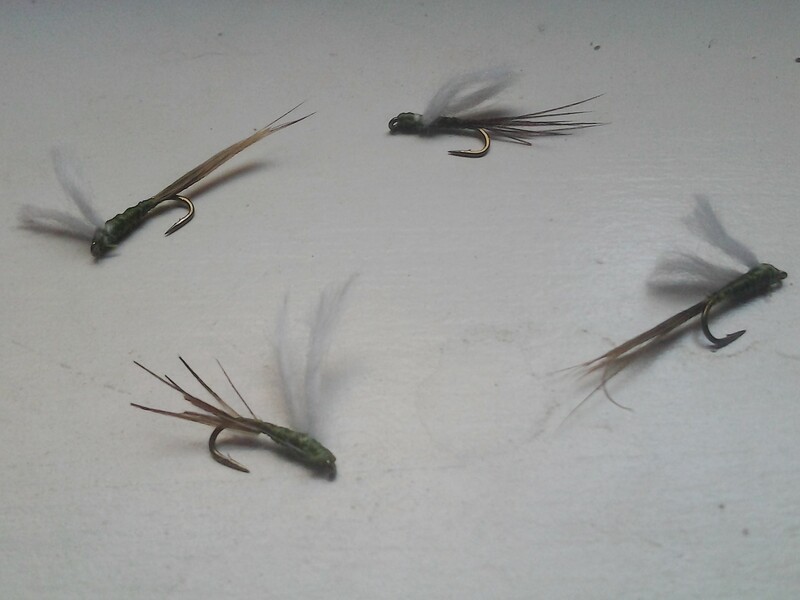 Another choice would be a size 16 or 18 dry fly hook dressed in Olive and Rabbit with or without a thorax of Peacock Herl: the September White Wing X Caddis. A streamer for slower water and meatier game goes to my standard Green Guarantee, size 6, 8, or 10. The body of Leech Yarn gives the Bucktail added motion, as this fly begs to be twitched and animated in authentic tenkara fashion. 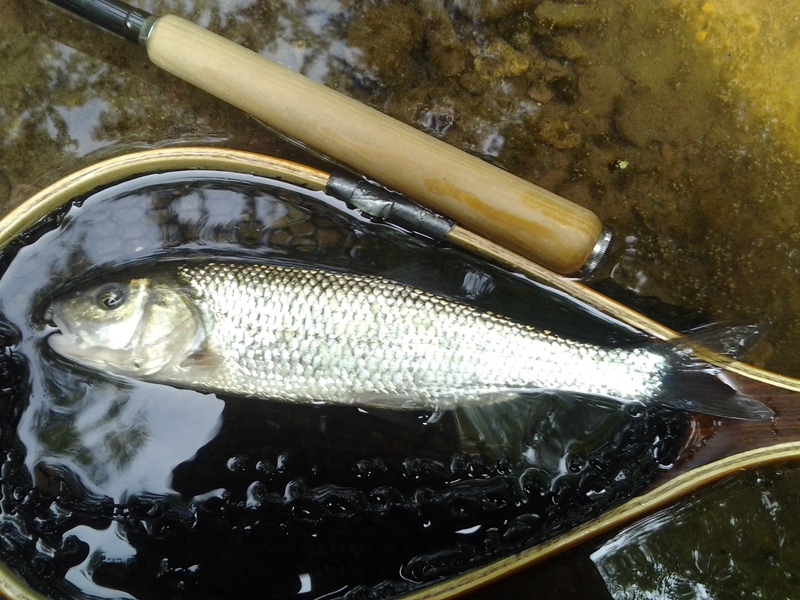 My target, the quarry, this time became the fallfish, Semotilus corporalis, the grayling of the Mid-Atlantic states. Ones of size, like a fish I just encountered along a freestone creek over Labor Day Weekend, gives dry fly fishing an ultimate experience. The fish, strong, attractive, over a foot in length, sipped in a size 18 September Trico, one tied in a Manhattan flat. 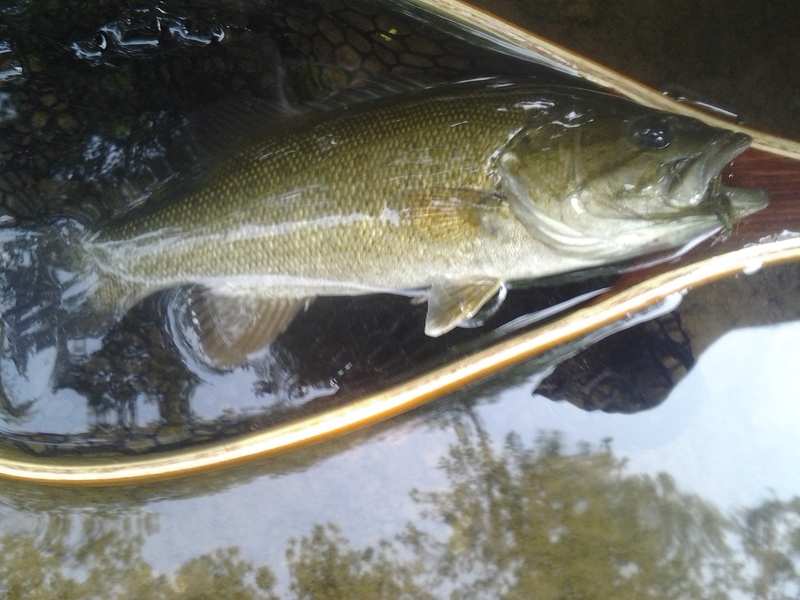 The other fish of late summer, the Smallmouth Bass, Micropterus dolomieu, made its presence known to me on the very next cast. This one fell for a Green Guarantee tied on after sighting a smallmouth bass twice the size of the one in net. More fallfish and smallmouth followed into a still evening that grew at a quicker pace than in July. A few deer showed off white tail and flushed. The green canopy held a dark gray where rays of sun once streamed. By the bank, the spot where I chose to cross for home, came first a pause for a large snapping turtle. Slow, dark and cragged, a small dinosaur, basically, cruised down the steam’s middle lane until the turn for a tree fallen and half submerged. 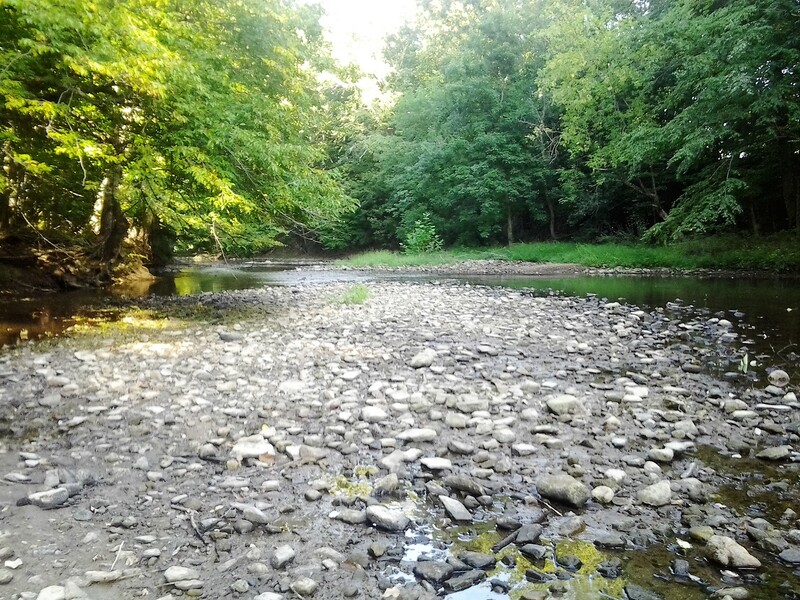 For me, above the opposite bank, began the walk down a gravel road toward town. My “One Only” Fly . . . The pattern that has best served me well and best represents my tying philosophy is a simple hybrid of a soft hackle and micro streamer. 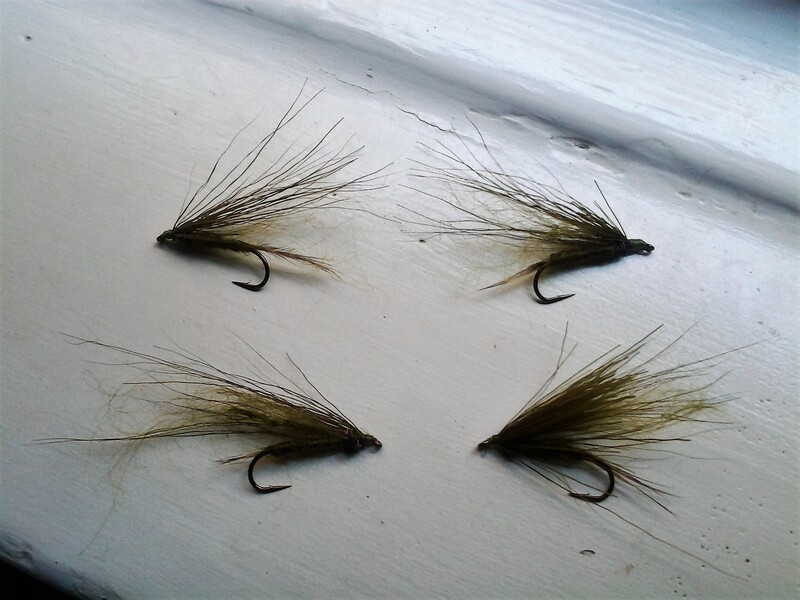 I use a wet fly nymph hook in sizes 10 through 14, thread and floss or knitting wool for the body, and a sparse hackle of natural deer hair. These combinations carry the same silhouette: one short in the body and long in the wing. Very effective when twitched in still water, or hung in a stream’s current, I would choose this style as my “one only” tenkara fly if pressed to do so. 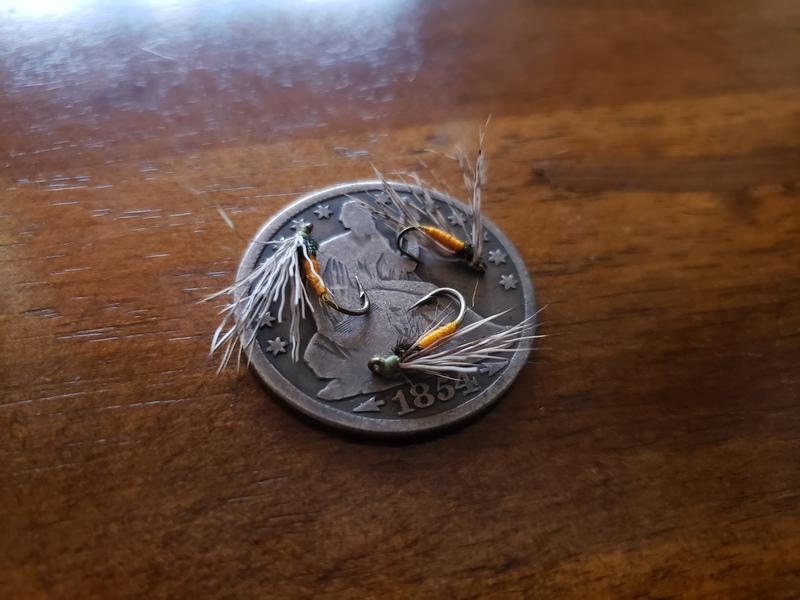 The pattern has worked consistently in pond environments for panfish and has always helped me hook chubs, fallfish, and trout along coldwater freestone streams.